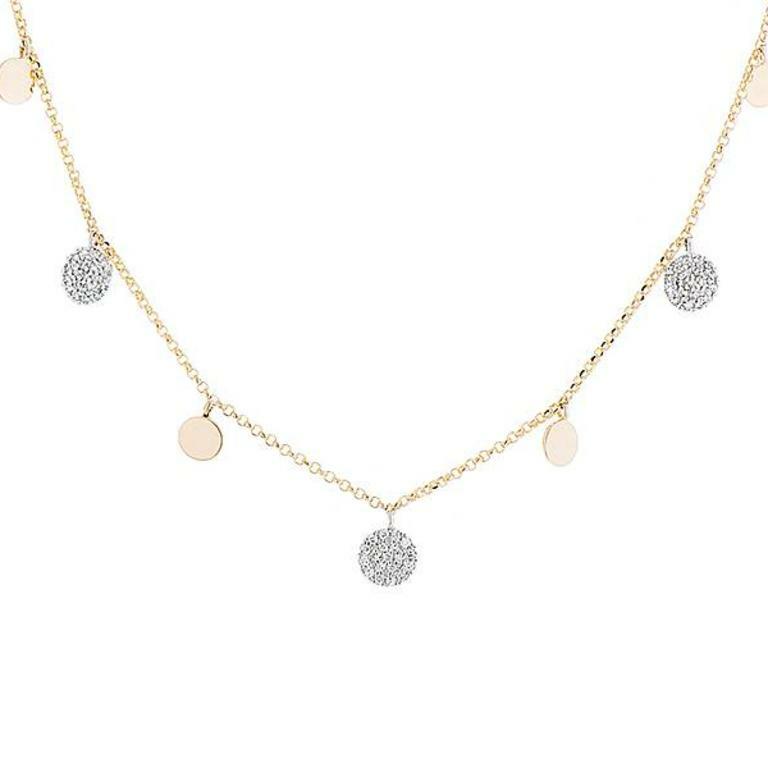 Ladies diamond disc drop necklace of contemporary styling. 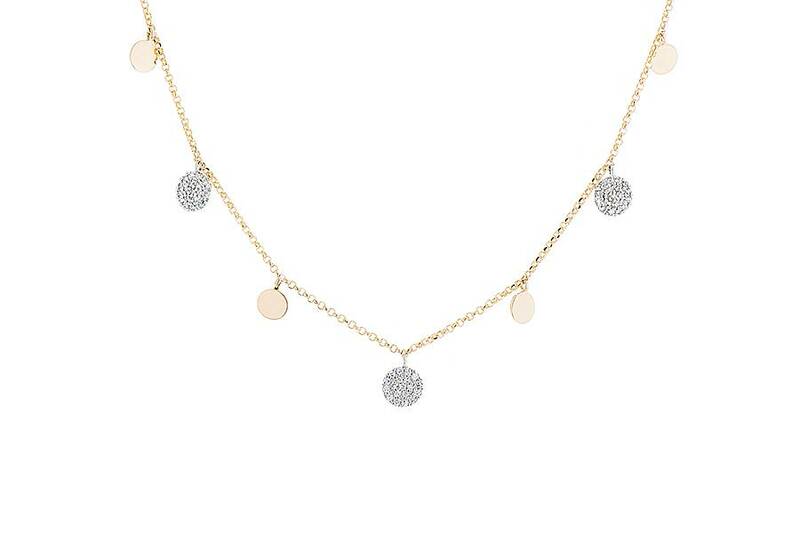 The necklace is crafted in a combination of white and yellow gold and is rolo link in style. It is comprised of diamond pave discs that are set with round brilliant cut diamonds. These diamond discs alternate with high polish, yellow gold discs for a modern look. This necklace is also available in all white gold.